Randolph College was recently awarded a $12,960 grant from the E.K. Sloane Fund of the Hampton Roads Community Foundation for the College’s music department to purchase a new piano. On Wednesday, the Steinway upright piano was installed in the teaching studio in Presser Hall. “We’re so fortunate to have the support of the Hampton Roads Community Foundation and are grateful for the award from the E.K. 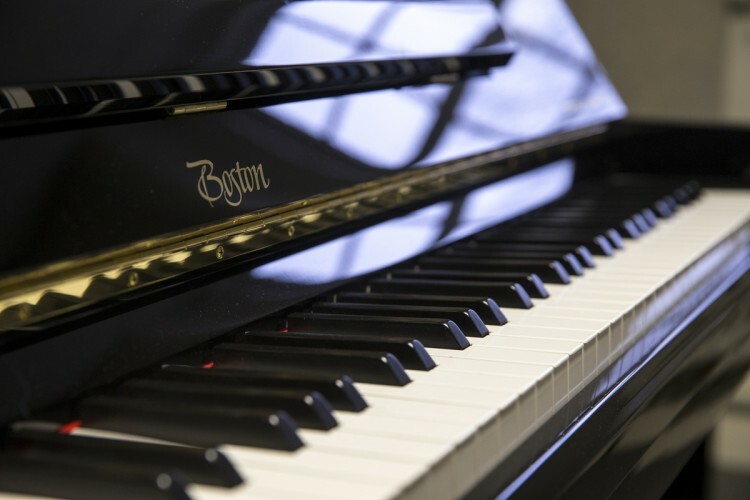 Sloane Fund, which has provided assistance to the College in the past for purchase and repair of our pianos,” said Randolph music professor Emily Yap Chua. 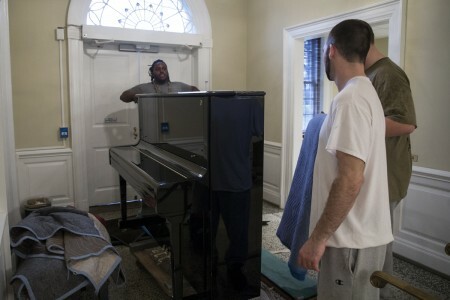 Workers wheel the new piano into Presser Hall. Students in Randolph’s music department study with faculty who have trained at some of the top conservatories and music institutions around the world. The music curriculum gives students the opportunity to expand their breadth of knowledge in theory, history, and performance. The bachelor of arts, bachelor of fine arts, and a minor in music are offered. Secondary education licensure endorsement is also available. Students of all majors participate in the music department, whether performing in ensembles, taking theory and history classes, or studying an instrument in individual lessons. In addition to piano, the department offers private lessons in organ, voice, harpsichord, fortepiano, strings, woodwinds, brass, and drum set.